Tartine is seriously tiny and they use up all the space they have. So I found myself sitting against the window bumping elbows left and right. We also waited ~25-30 minutes for our table for 5. Nonetheless, the place does have its charm and I left feeling a bit overly full. Nice thing is prix-fixe $15 with orange juice and coffee/tea. 3) Came across this cupcake truck by Washington Square Park (though I think it changes location). 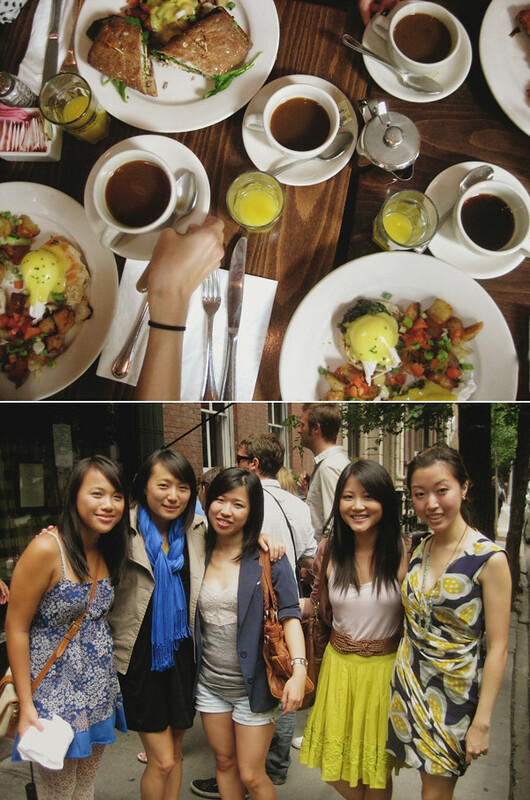 If I hadn't been so full from brunch, I would have loved to try it. The menu boasted 20 different cupcake varieties! They are all cutely named as well, including "Sweet Side Up," "Rich Guy," "Mr. Incredible," and "Whatchamacallit" hahah. I wonder if they have them all everyday though. 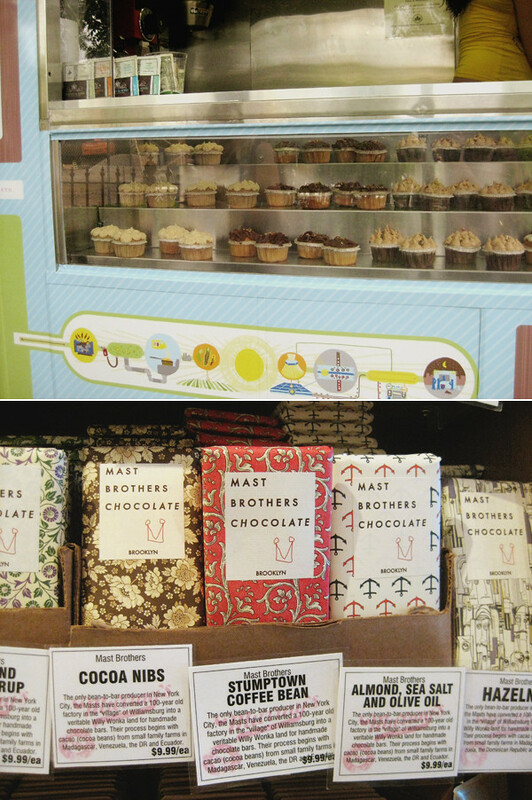 4) And how precious are these Mast Brothers chocolate bar wrappers? Would make nice wallpapers or decorative accents for my card-making. Definitely something I could find myself collecting, but at $9.99 a bar...I will probably have to admire from a distance. Looks so "ono" (delicious)! And fun! I love the chocolate packaging, too! I wonder if it tastes as good as it looks?